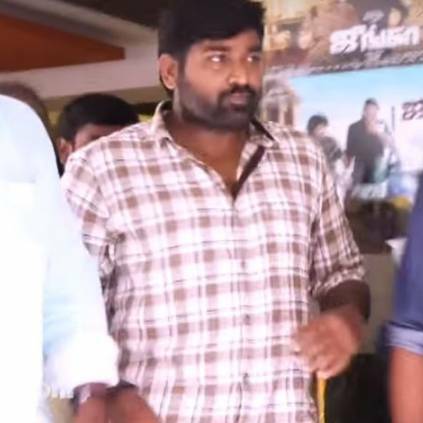 JUNGA FEVER: VIJAY SETHUPATHI WATCHES WITH FANS! Though he has played quite a few don characters in the past, Vijay Sethupathi arrives once again as a budget don in Junga. The film is directed by Gokul, who is teaming up with VJS for the second time after Idharkudhaane Aasaipattai Balakumara. The film released today amidst good expectations and the FDFS shows ran full houses across Tamil Nadu. For the first show at Kasi Theater, Vijay Sethupathi along with director Gokul and co-producer Arun Pandian decided to watch the film with fans. Scroll down to see the public opinion and what the team has to say. Junga also stars Sayyeshaa, Madonna Sebastian, Yogi Babu and Suresh Menon.